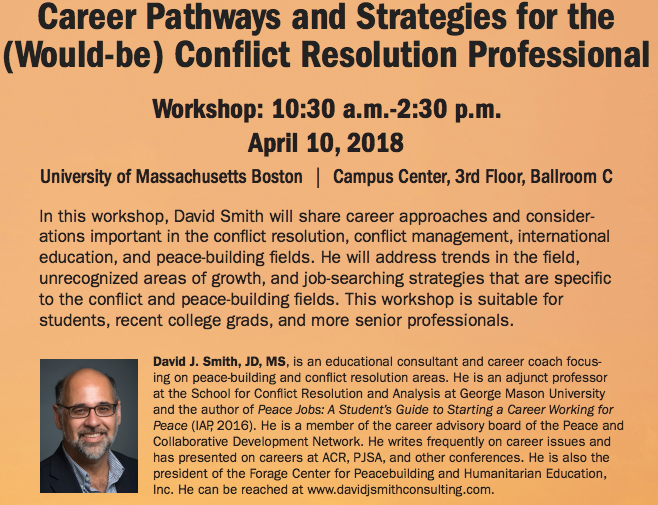 I will be in Boston at the University of Massachusetts giving a workshop on career awareness in the conflict resolution and peacebuilding fields April 10. The event is from 10:30 a.m. to 2:30 p.m. on Tuesday, April 10, 2018 at the UMB Campus Center, 3rd Floor, Ballroom C.
If you are in the area, please join me! See the flyer below for more information.